This plan includes $51.9 million in targeted investments on the strategic initiatives identified (for more information on these investments, please visit: https://my.spokanecity.org/news/stories/2017/12/15/a-two-year-519-million-community-investment-plan/). 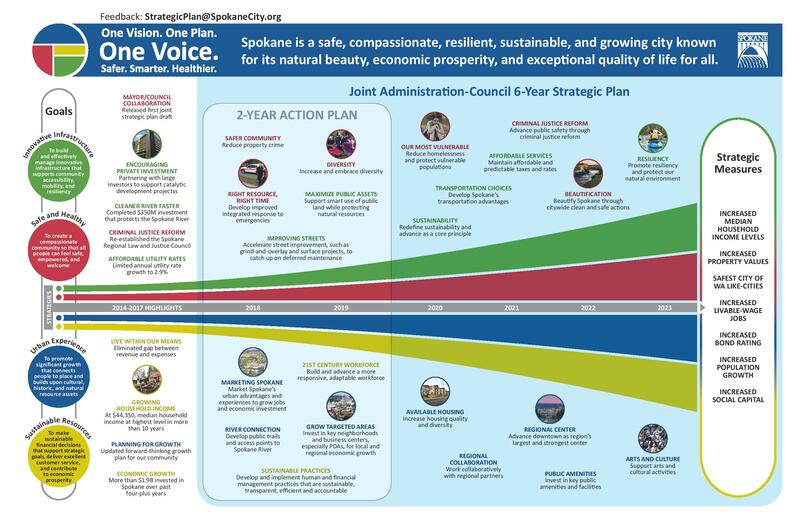 For more information about the Strategic Plan, please visit: https://my.spokanecity.org/cityhall/strategic-plan/. In September, Spokane’s Community Court announced that it would be expanding to hold sessions in the Northeast Community Center. 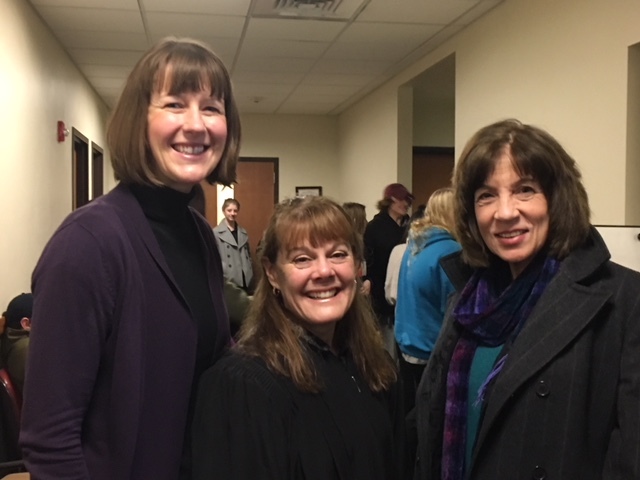 On Tuesday, December 12, I was honored to attend the inauguration of the Community Court at the center, led by Spokane Municipal Court Judge Mary Logan. Since 2013, Community Court has been an important tool in bringing rehabilitative, smart justice outcomes for defendants charged with low-level, nonviolent, and quality-of-life crimes who become engaged in the Criminal Justice and Corrections systems in Spokane. In order to complete Community Court sentences, defendants are connected with the social services they need through a case manager, then must complete at least eight hours of community service. The results have been impressive with over 3,100 hours of community service completed to date, resulting in an investment of $34,000 worth of labor to improve the city and downtown businesses. For more information on Community Court and its expansion, check out this video by our Media Content Coordinator Jeff Humphrey at: https://my.spokanecity.org/news/stories/2017/12/13/community-court-moves-to-hillyard/. After months of work on this ordinance, we can finally see the finish line on the horizon. On Wednesday, December 13, my legislative team and I held our third and final workshop with the Spokane Plan Commission. We received very positive comments from the commissioners, as we were able to address most of their concerns since the previous workshop in October. Also, we were able to incorporate much of the feedback we received during the public open house in Browne’s Addition in October as well. Going forward, the next big step for the ordinance will be a public hearing before the Plan Commission. During this hearing, the commission will take public testimony on the ordinance before voting on whether to recommend that it move on for City Council consideration. This public hearing is scheduled for Wednesday, January 10, at 3:45 PM. If you support historic preservation in Spokane, I urge you to please come to City Hall for this public hearing and express support for the ordinance. After the public hearing, we are confident that Council will vote on this legislation either in late January or early February. For more information, and to read the full ordinance, please visit: https://my.spokanecity.org/citycouncil/items-of-interest/demolition/. Under our City’s council-mayor form of government, the mayor proposes a budget and the City Council must adopt it. The process of getting from the proposed to the final budget is one of negotiation and coordination between the administration and the City Council, and this process kept all of us very busy from November through December. On Monday, December 11, however, we settled on a final budget with the administration and Council voted unanimously to adopt it. The budget includes funding for ten new SPD officers to be hired in 2018 and brought into the force. It also provides long-term funding for 24/7 homeless shelter and services after the City Council identified funds this summer to keep such services open and running through the end of 2017. SSI/SSDI Outreach, Access, and Recovery (SOAR) will be funded next year by the City to help address homelessness. This is money for individuals who qualify and do not know how to submit the proper documents, or have access to a computer in order to complete the necessary forms. Trained personnel help fill out forms and submit them to Social Security thus giving much needed income to people who qualify. Typically applications for these funds can take months and/or repeat requests for individuals to receive their monthly check. This program will streamline the process and shorten the time for payments. In addition to 10 new police officers funded in the 2018 budget, the City Council also passed legislation allowing school zone camera funding to pay for traffic enforcement officers around schools and in our neighborhoods. This will help mitigate speeding issues and other traffic safety concerns in our neighborhoods. 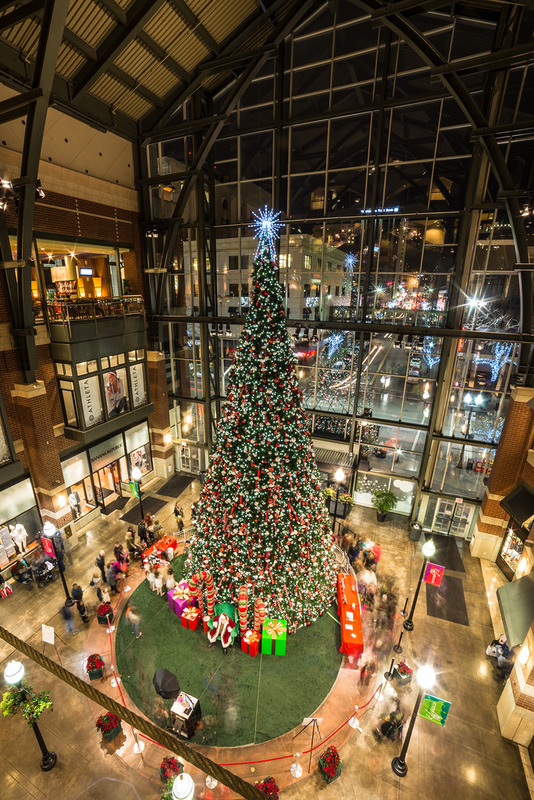 From all of us here in the City Council office, here’s to wishing you and your families a very Merry Christmas, Happy Holidays, and a happy New Year! We would love to hear from you about any concerns you may have. Email me at: lkinnear@spokanecity.org.